Renault launched its fifth generation Clio at the Geneva Motor Show. 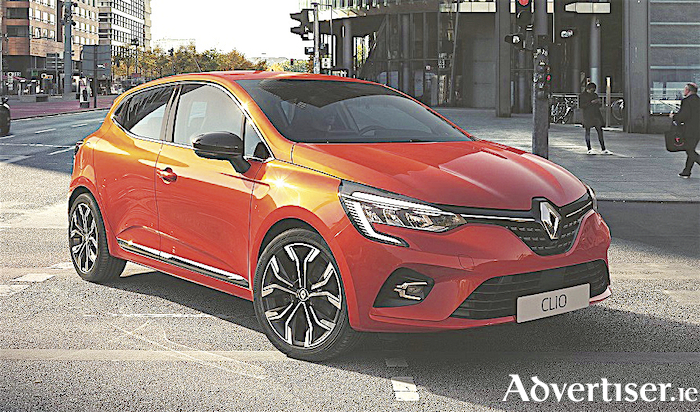 Designed according to the “evolution and revolution” principle, Renault says the new Clio rewrites the rule book with more mature body styling and an entirely revamped interior. Featuring more sculpted lines and a more assertive front end, the new Clio gains in vitality and modernity while remaining instantly recognisable, even though it comprises 100 per cent new parts. Inside, Renault says the revolution is strikingly clear. The completely redesigned interior is inspired by higher-end segments, both in terms of perceived quality and available technology. These strengths benefit all motorists, bringing them greater practicality and ease of use. Laurens van den Acker, senior vice president of Corporate Design said the fifth-generation Clio is important for the company because it is the best-seller in its segment and the second best-selling car in Europe, all categories combined. The new Clio is the spearhead of Groupe Renault’s strategic plan, “Drive the Future (2017-2022 )”. Presented in autumn 2017, the plan has three key objectives. 1 ) Electric: By the end of the plan, Groupe Renault will offer 12 electrified models in its range. The new Clio will be the first with an E-Tech hybrid engine based on technology developed by Renault. 2 ) Connected: Also by the end of the plan, the company is targeting 100 per cent connected vehicles in its key markets. The new Clio illustrates this momentum with its new connected multimedia system developed by Renault-Nissan-Mitsubishi. 3 ) Autonomous: By the end of the plan, Groupe Renault will market 15 models equipped with autonomous driving technology. The new Clio will be a pioneer in this respect by making the driver assistance systems leading to autonomous driving widely available on a city car. The new Clio is also available in a new RS Line version, inspired directly by Renault Sport.